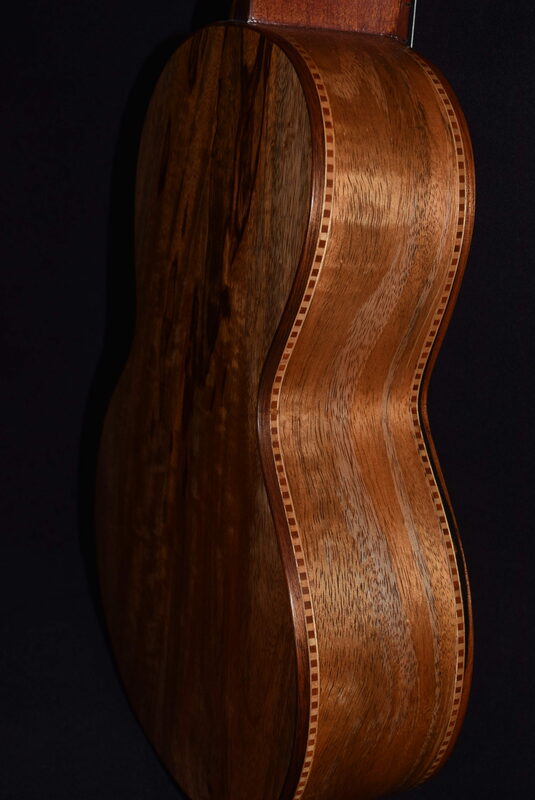 This one is a 6-string baritone with a Misi pick up model (#6B1) , ready to plug in to your favorite acoustic amp or PA .This Baritone has unique spalting on the back and the tone is deep, rich and full with some very sweet, crystalline overtones, sounding similar to Koa wood but with a unique character all its own. Neck is hand-carved of mahogany. 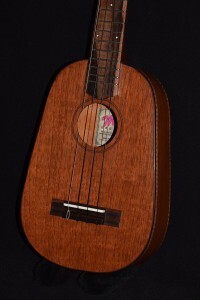 Bridge, binding and fingerboard are of ebony, with MOP dot markers. 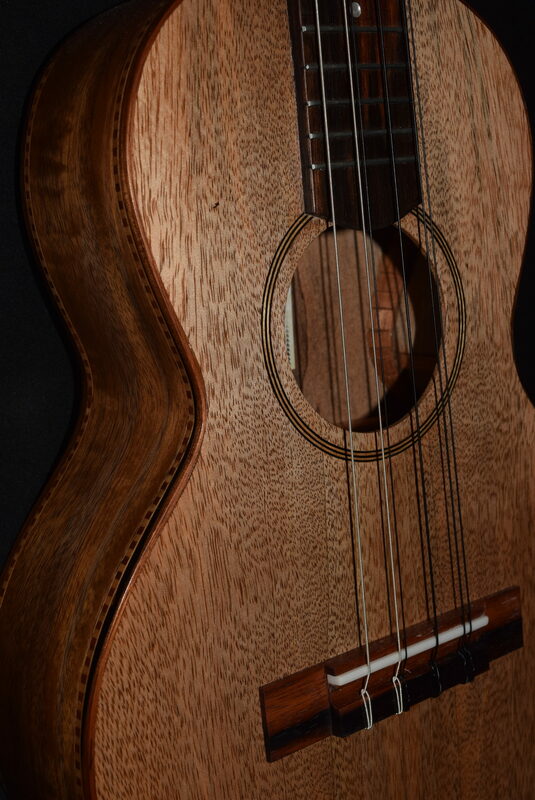 Mele’s finest geared tuners make for precise, stable tuning. 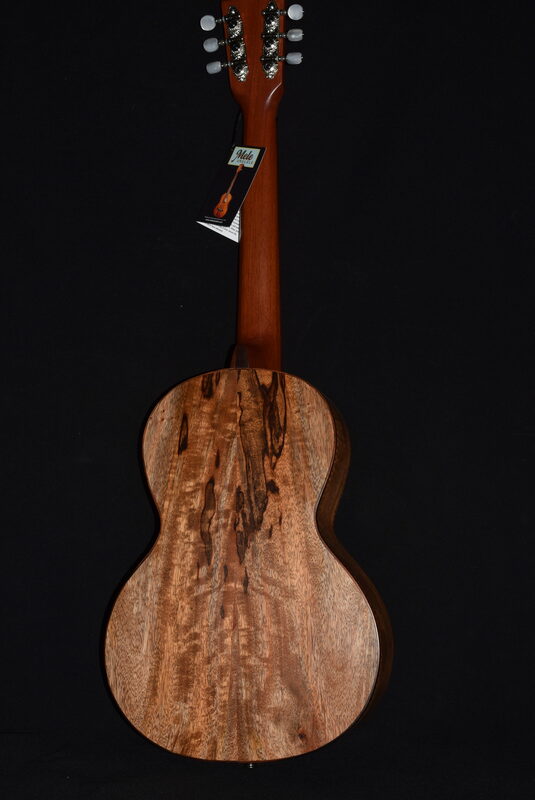 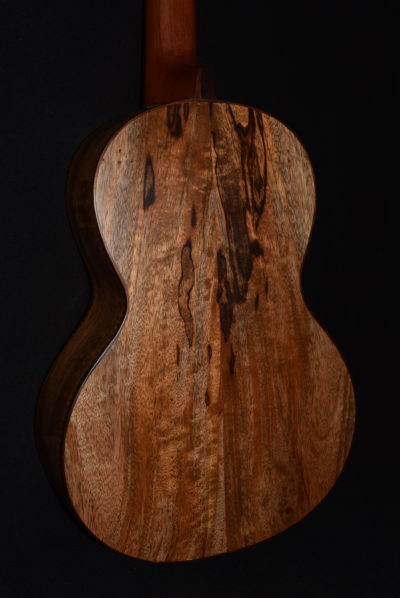 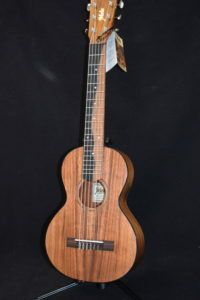 For the first time ever, you can own a unique, awesome, hand-made mango wood Uke without going bankrupt! 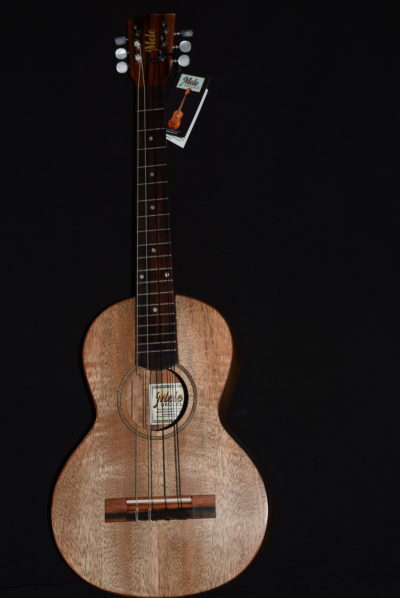 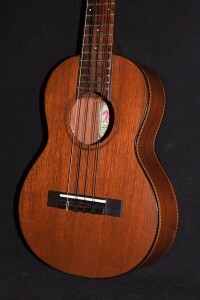 The baritone ukulele is the most recent addition to the ukulele family tree, having become hugely popular in the 1950s when Arthur Godfrey regularly played one on TV. Genuinely acknowledged to be the finest baritone ukes ever made were those produced by Martin in the 50s and 60s. 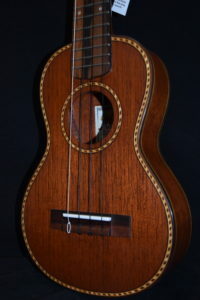 The Mele baritone reproduces the Martin in dimensions, materials and appearance, but with some modern touches like a set of die-cast 18-to-1 Mele top-of-the-line geared tuners, and a larger and more securely attached bridge that can easily be fitted with a guitar-sized transducer for awesome amplified sound. This particular baritone is a 6-string model #6B1 , tuned DGgBEE, for a fuller, richer tone than a 4-string, although played the same way. 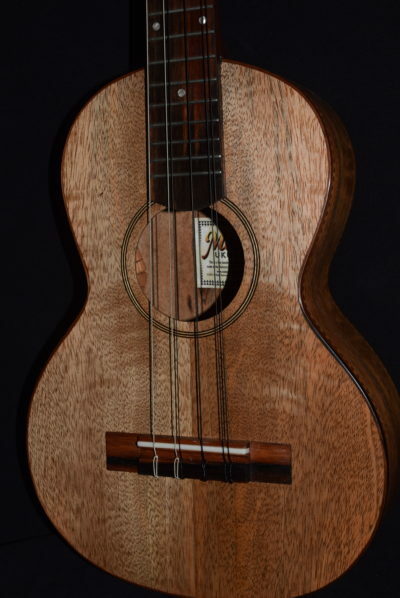 6- string tenors are very popular these days, especially here in Hawaii, but 6-string baritones are still hard to find. 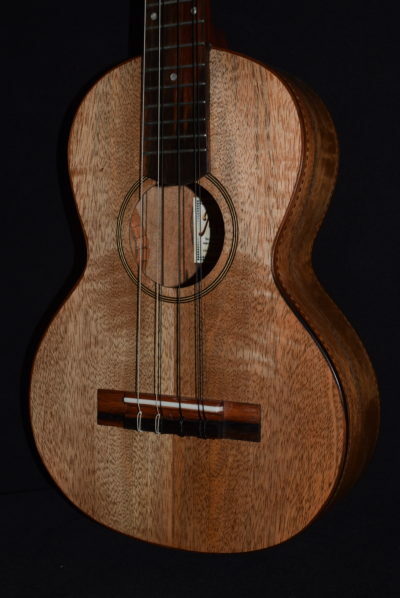 It is constructed, as the Martins were, from solid mahogany and ebony woods, and is entirely hand-made. 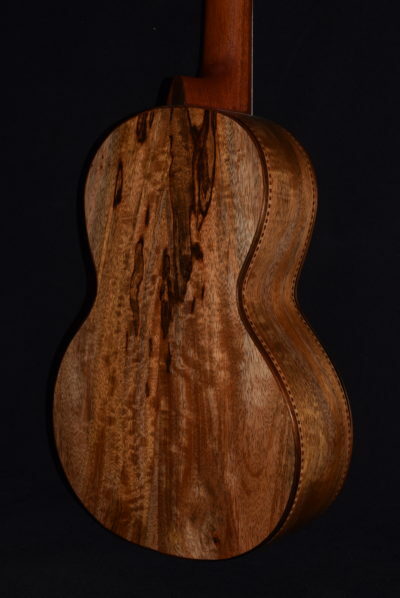 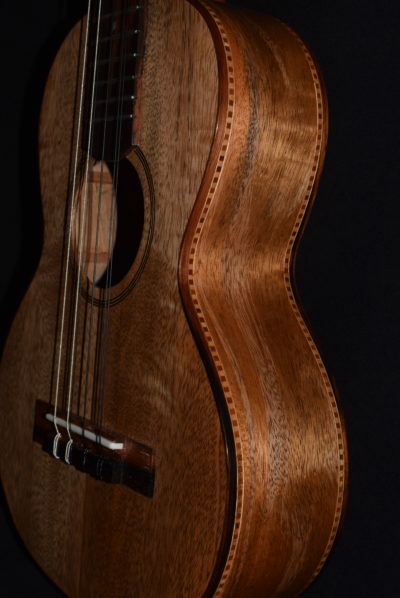 This Baritone has a Misi pick up and has unique spalting on the back (see photos).